Hey everyone!! I hope you had a great weekend! My weekend was fantastic! My younger sister, daughter and I traveled to Mankato to visit my older sister and her family. We ate at a couple great restaurants, went to the Pioneer Power Tractor Show and Antique Flea Market in Le Sueur, and cooked some amazing food! Here are some pics of our adventures! Left: My sisters and I taking a pic in a random mirror! This one was at the antique flea market! 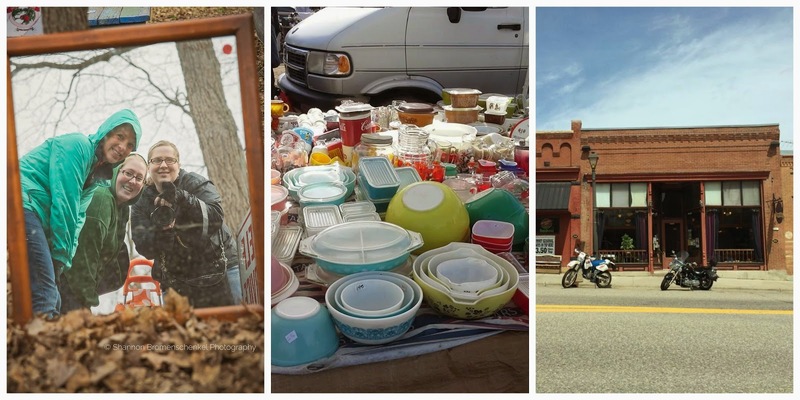 Middle: A gigantic Pyrex collection at the flea market! Oh how I would've loved to buy each and every piece! Right: One of the most amazing restaurants ever! Henderson RoadHaus in Henderson, MN! Keep an eye out for a future review! One of the recipes my brother-in-law prepared were these amazing Cowboy Mashed Potatoes! I wasn't too sure about them at first... the ingredient combo is a little unusual to me, but they are so delicious! They are not spicy from the jalapeno, in fact, it adds a great flavor. I love all the veggies mixed in. 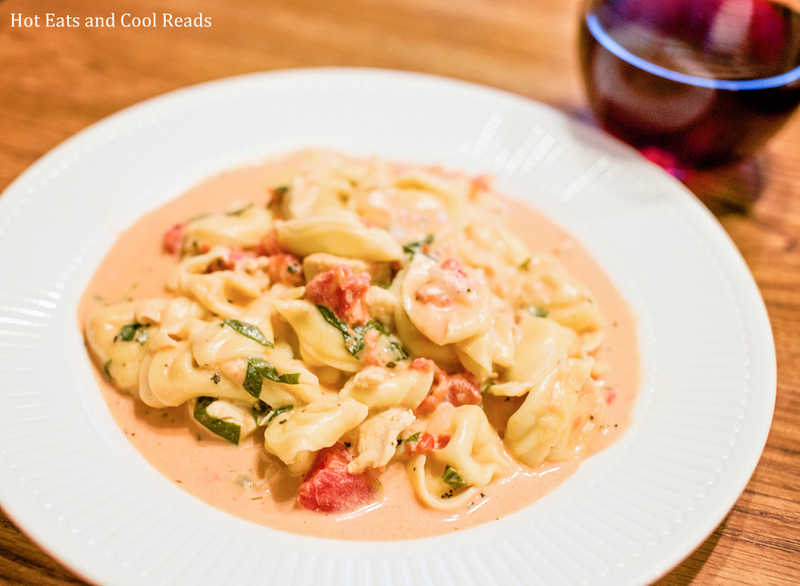 Total comfort food! Top with a little butter and salt and pepper for the perfect side! Place potatoes, jalapeno, carrots and garlic cloves into a large pot. Cover with water, and bring to a boil over high heat. 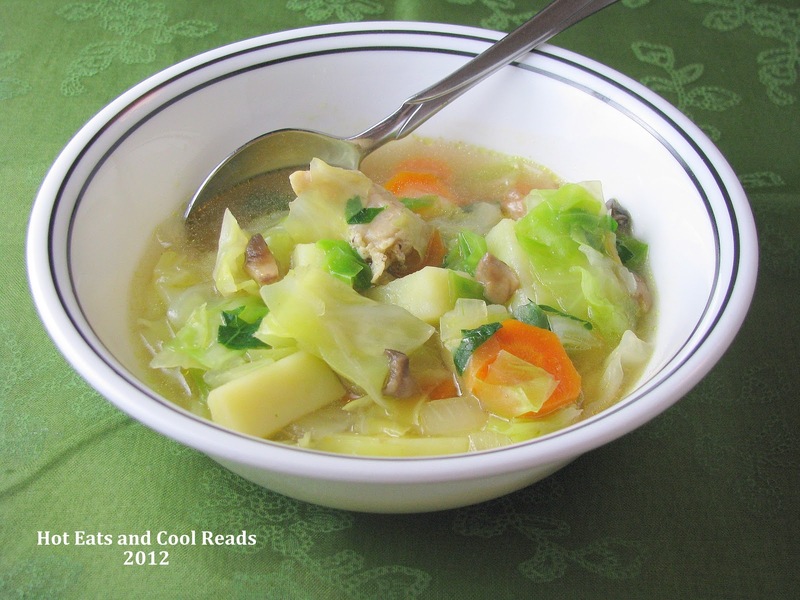 Cover and cook 15-20 minutes or until potatoes are tender. Drain water from the pot. Stir in the corn and butter and mash with a potato masher until you reach desired consistency. Mix in the cheese, salt and pepper. Serve. I am so glad you loved them!! I had such an amazing weekend with you!! These look amazing, I love the twist on the mashed potatoes. Yummy it's a meal all it's own! I am jealous of the Pyrex finds! I keep picking up random Pyrex pieces, and I think my husband is going to make me go sell it all at a flea market soon! lol. These potatoes look delicious! I bet the combination of flavors makes them really tasty! These look delicious! 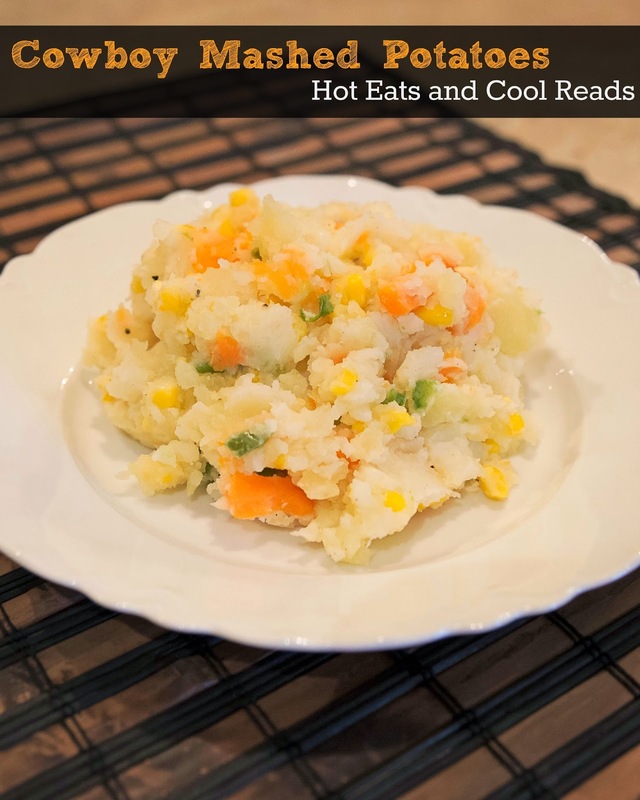 I have never seen mashed potatoes with carrots and corn - yum! I've made these before minus the carrots and they are so good. I love carrots but I'm the only one.